Villa Petra is located on the most beautiful and quite place directly by the sea on the island Murter, Croatia. It has own private mooring for boats, private pool and private pool place where guests can really enjoy. Its position is on the end of the street with almost no traffic making it perfect for a family holiday. 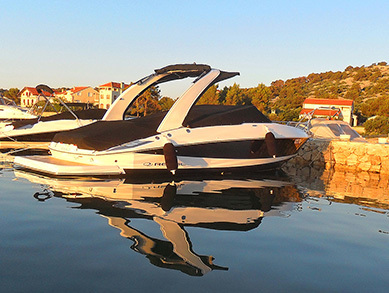 Villa Petra is especially interesting fuer the guests that want to enjoy their holiday on motorboats. Private mooring in front of Villa Petra offers you that your boat is always in sight. 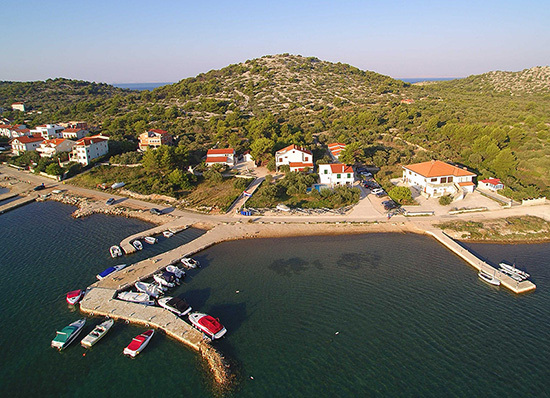 The island Murter (20X30 km) is located in the middle of the Adriatic coastline, between Sibenik (30 km) and Zadar (75 km). It is surrounded with beautiful beaches and clear blue sea with sea temperature of 25C during summer. 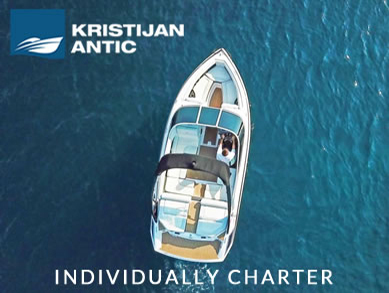 Also the island is conveniently located as a point of departure for Kornati and other places in the Adriatic Sea. The famous beaches on the island are Slanica, Kosirina, Cigradja and Podvrske. These beaches are considered as one of the Adriatic's pearls.